Hi my lovely Launna. It's such quote to read:). I'm not taking any jewelries of my crown and I won't change who I am. I'd rather find a man who is proud of how much jewelries I've own and it worth for her to own :). No you don't want to take your worthy jewels out of your crown that you've own Launna. You will one day for reason find a man who love and enjoy the jewelries you've own n your crown. You're too good and worth than that. You've a good and big heart Launna. I wish you a gentlemen come to your path soon:). I'm sorry that you still having the stinky snow. You people need a lot of sunrise to melt those white mountain:). Oxoxox. Love:). This is so true, Launna! Sometimes, even without realizing it, we settle for less than we should because we feel that this is all we deserve, or will ever get. But it has a lot to do with how we feel about ourselves, and it is so true that we need to love ourselves. Great post, thank you so much for sharing. I truly believe we should never settle for less and we should all know our own self worth. It takes a lot of guts realizing that and making the decision to remove oneself from a person who isn't on the same emotional level. Hi my lovely Launna. It's such quote to read:) This is so true, Launna! Sometimes, even without realizing it, we settle for less than we should because we feel that this is all we deserve, or will ever get. What a wonderful Letter Launna! Great Work! Totally agree Launna: this is the right answer!!!! Your New letter is so Lovely My sweet friend!!! Have a great start of the New week!!! You deserve the very best in life always, and although sometimes it's good to compromise -you should never lose your true self. Someone out there is waiting to love you just the way you are. Dear Launna, thank you for your lovely comments on my blog. I totally agree with you, we must love ourselves first. I always say that I love myself more now than 20 years ago. So true! We all deserve love but we can only be loved by others if we love ourselves first. Well said Luanna. That is universal advice. The lack of self love is the root of so many problems in life. But the journey to self love for some is too steep and long, so they never head in that direction. this is so true! I agree with you. I think It's very important to love ourselves. THe title of this post is so perfect! We all really do need to work on loving ourselves more! I love this post! I agree that we first need to love ourselves before anyone else can love us. This took me many years to realize. Once I figured it out I spent some time getting to know myself again and what I wanted and liked. In past relationships I had sometimes tried to change myself in little ways to make myself easier to love- things like- oh pick me up whatever sandwich when you are at the deli, I don't care. Trying to seem so easy-going, when really I have specific sandwiches I like and don't like. I didn't want to seem like a pain, because that might make "him" like me a little less. I look back and realize I was crazy. I would rather have the sandwich I want, and be myself then to be with someone who doesn't love me for me. I can look back and see that the people I wanted to love me weren't really the right people for me at all. But, I had to get to know myself better and respect my thoughts, wishes, and desires before I could see the truth. Love is something cool, we all agree. You have beautifully portrayed some unique aspects of love, a wonderful emotion of living organisms. Well, we have to love ourselves, be comfy in our own skin and give our own mind, body and soul peace. If we do not love, care and make ourselves peaceful and cool who else is going to do it ? I remember the story of a young seeker who was totally confused with so many perplexing questions about life in general. He approached a great Guru for advice regarding getting inner peace. Guru told him he do not know the answers and advised him to travel and seek it. Seeker traveled almost all over the world for years together, met many great people. None could satisfy him. Finally he returned to Guru's ashram. Guru who has become so old asked him if he got the answer. Seeker took a mirror and showed his own image. The answer to inner peace and all the questions are within us. In Hindu philosophy it is mentioned as 'Thathwamasi'. This post touched me Luanna! Everybody needs to love and be loved but not at the price to low yourself! I am in the same situation you were, still single even if I've never had problem to have a date... But my case is the opposite if yours: evey time, after some date, I realize that the boy in front of me doesn't worth me and I stop to see him. Maybe i'm too much arrogant, but I don't want to became different or low myself just to please someone else, as I don't ask them to change for me! Loving one self, understanding one's self dignity and valuing yourself is the best thing one can do to themselves my dearest Launna <3 And you're one lovely soul who's the bravest and the kindest. I'll remember it well, Launna. This is such a positive and insightful post. And I love the quote, Launna. 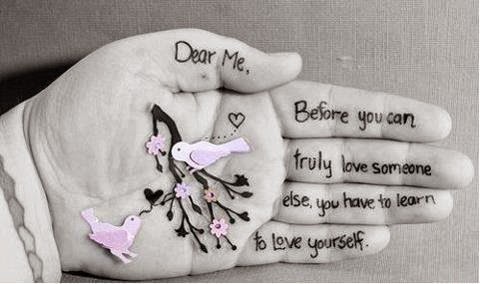 I guess we all have trouble with this---I myself do have a hard time loving myself. I guess that our insecurities are what try to control us. People themselves notice their own flaws the most. But if we don't respect and love ourselves, who will? We must appreciate the beauty in us all. There are so many beautiful things about ourselves we deny because we feel like we're never good enough. I just love what you said about love is about deserving one another. It definitely is about both striving to be better, giving it their all for the other person. Although there is something I disagree with this post ;) I'm sure you will find love, Launna. You are such an amazing, beautiful person--I don't think I can stress that enough! You're a light in darkness, so positive even when things aren't the best. I feel that any man getting to know you enough would love you. You're beautiful, inside and out--a really lovely soul that I am oh-so-grateful I got the chance to "meet". Another really touching letter. We do need to love ourselves first and foremost. You've learned that lesson and i sincerely believe that better things are waiting for you down the road. Someone out there deserves you. I believe that to love oneself is the basis for everything. Passando para ti deseja um dia grandioso fica com DEUS. Launna, you are indeed worthy of being loved for who you are. Sometimes it's hard to see that we don't need to change ourselves to fit someone else's ideal. No one should have an opinion on how big your dreams should be. Love the quote at the top. Launna, you have the best view of life! You are worth everything, especially love! And loving yourself is always the beginning! Lovely post! Love the titel of your post; "Loving yourself is the answer". I always say "When you love yourself, you can open up to love others". Beautiful post Launna..loved reading this. Amiga passando para ti deseja dia maravilhoso. Very touching and it is amazing how a simple quote can explain how you feel so well at times. I really think it is important to be the love in your own life so that you will never settle for less then you deserve. You seem like a lovely person who deserves someone to appreciate all of you! This is such an important message for everyone out there, but especially women. 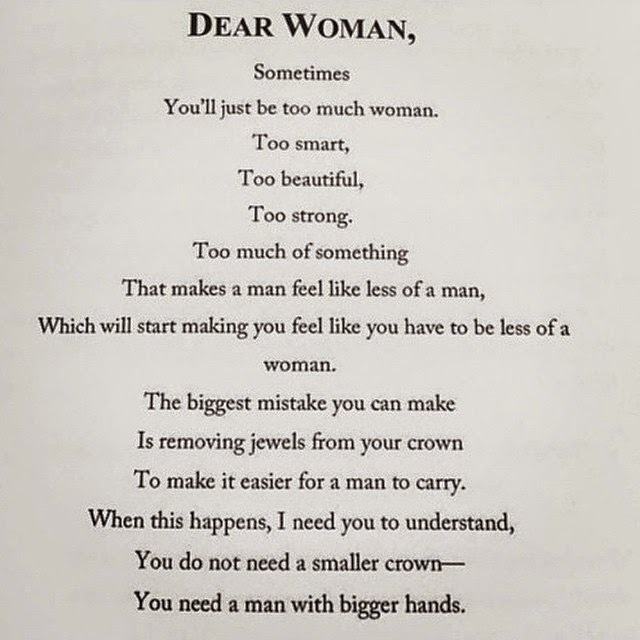 We tend to "remove the jewels from our crowns" sometimes because of a man. It's time for us to stand up for ourselves and show the world how valuable we are. I've been once in the same situation than yours and believe me, nowadays I wouldn't remove a rhinestone for anyone! ;) And you shouldn't either, Launna. You're such an incredible person and I'm sure you'll find someone who appreciates that. You have a great view of life! Have a happy Wednesday! It is the answer! I learned this just over a year ago that in order for people to like you and for you to get on in life, you need to love and accept who you are! That a great post! You have an amazing view of the life. I really believe in me too. I wish I had known this before I took every single jewel on my crown off for my ex... When I look back, it is scary just how much I was willing to throw everything about myself away just to stay with him. I just thought that was what love was, at the time. But that is all in the past now, he is long gone from my life! I love your new blog layout, and I hope you and your family have a great Easter!! yeah I can definitely relate to that instagram quote. And I've been with guys where I've felt the need to completely change myself, my hair, my clothes... I just got out of one recently actually. Still have feelings for him but ugh it's so toxic. Se aquelas unhas autocolantes durassem mais tempo elas seriam perfeitas! Nossa, mas que chato isso das unhas de gel... Pelo menos te devolveram o dinheiro! Sim, Launna. A resposta é essa! Temos que nos colocar em primeiro lugar sempre. Só dessa maneira compreendemos o jeito certo de se entregar a outra pessoa! Com amor próprio enxergamos como devemos conduzir uma relação. Conseguimos sentir se aquela paixão é realmente algo que faz bem! You have made some very good points in your post Launna .... keep true to yourself. I hope you feel better now and that the weather is improving. I wish you a super lovely Easter!!!! I totally agree with what you say Launna, you always find the proper words to describe things. There is a quote saying "don't forget to fall in love with yourself first" and this is true and really important. Hi Launna, I love the first quote a lot. I'm quite the quotes person and I thought I've seen enough quotes but I've never ever come across the first one before. I love it! I've counselled and advised heartbroken gal pals over the years with the same concept but never did I use this analogy. Really beautiful. And no, you should not be taking any jewels of your crown and just to fit someone else. Be proud of your crown and wear it high! I printed your post and I underlined some sentences because I have felt like you: how many times I had removed 'jewels' from my crown so that a man would 'love me' ... instead of finding a man that was worthy of me. I have been the girl that wanted love. Although I may not find the love of my life, I now know more than ever that I want nothing less ... especially since I am willing to give my all to the right person. Have a great day! we have to believe in ourselves first before in order to find someone who really value us. Dear Launna I agree with you, loving your self is so important. Hope you have a wonderful Easter weekend! Yes, the quotes are great and I loved this uplifting post. Another beautifully written story, my dear Launna. I am fully with you on this. Love isn't about deserving one another. It's about loving yourself first and giving out the best of yourself to the other person. I loved these lines. Well expressed. There's a lot of things I could learn from this post. Thanks for sharing such a touching and true story. I am glad that you have realized this and you have made me realize it too. It's really worth reading. 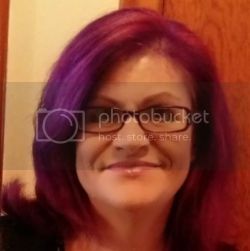 Keep writing and keep sharing, Launna. Happy Easter dear Launna, kisses! Very enpowering to read! Yes, first comes love..to love ourselves! Thus..to know how to love others. All the best on a blessed Easter Sunday! All the best to your writing and your studies! The best way to loving others is to love yourself first. I hope for your healing from any wounds of the past, Launna. Stay positive and keep spreading positivity. I am stopping by to wish you a Happy Easter, dear Launna. Hugs. This is a beautiful post, Launna. Love the quote from instagram. You are right, women need to understand their own worth. In being a daughter, a sister, a wife, a mother, we forget to be ourselves. We constantly sacrifice a bit of ourselves for others. Ah this is such a good post. I've removed a jewel or two too. My husband does love me, but he doesn't like if I get more successful than him. I made more money than him and it didn't sit well. We moved out of state and I couldn't find good work close to home, so I enrolled in law school. He hated law school and asked me over and over and over again to quit. I did after the first semester. A jewel I gave up. 7 years later, I still miss that I didn't go. It wasn't worth the turmoil at home, but he needed bigger hands. Sometimes even when they love you, they don't extend their reach. Life/people is/are just funny that way. :) He makes up for it in a million other areas, but I totally get the jewel thing. Hi Launna! Reading this entry of yours made me remember few years back. I always tend to love so much, so so so much more than anyone could ever love someone. I was deeply inlove with my first love, I was 18 years old that time, so young and innocent. I gave him everything, I have loved him more than anyone else but he only broke my heart. He broke my heart into pieces that made me cry for a gallon of tears. Worst part is I beg for him not to leave me :( yes, I did all of that because of love. It took years before I have moved on and picked up those broken pieces again., then I found someone who have loved me again. Then it happen again.. and again.. and again.. And then one day, I woke up realizing, hey! You have done everything and you've given so much love but did you even try to love yourself? So I wipe away those tears, I smiled and from that day forward, I have love myself a hundred percent. It made me feel so much alive, pretty, gorgeous and made me stronger. 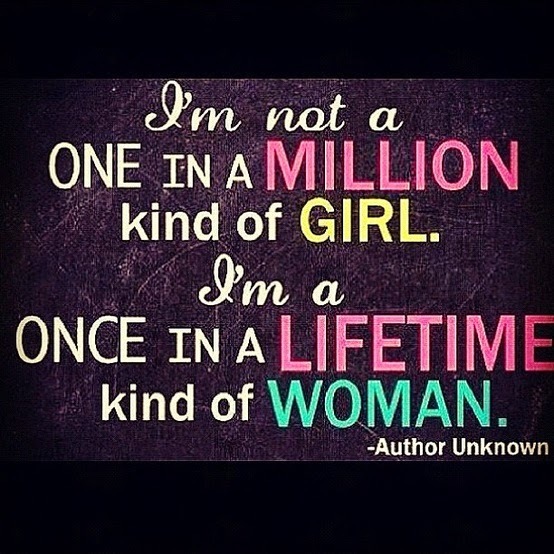 :) Now I can say , I'm the best of me. Yes, I'm a single mom but I'm HAPPY and CONTENTED. Always remember that TRUE LOVE is worth waiting for..
Have a nice week end, my dear Launna!